Is Outer Planet Synastry Valid for Those of the Same Generation? 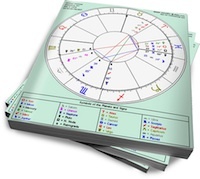 Here’s a question astro-curious folk often ponder: How valid is a synastry aspect with an outer planet, since a whole bunch of people the same age have the outer planet at the same degree? My answer is that it matters very much especially because a whole bunch of people the same age have the outer planet at the same degree. After all, this same group of people are sharing … [Read more...] about Is Outer Planet Synastry Valid for Those of the Same Generation?